Dr. David Yomtoob is known as one of Orange County’s most prolific vision correction, cataract and glaucoma specialists. He was one of the first surgeons in the Southern California to perform laser assisted cataract surgery, and has been invited to teach cataract and glaucoma surgery to ophthalmologists in training at the Long Beach VA Medical Center and the Univeristy of California at Irvine. Dr. Yomtoob has contributed to the field of glaucoma and cataract surgery as one of the first surgeons in the world to implant the Glaukos iStent Supra device for lowering intraocular pressure in glaucoma patients. He is currently involved in FDA clinical trials in microinvasive techniques for treating patients with mild, moderate and advanced glaucoma and cataracts. 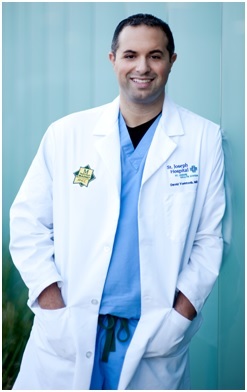 Dr. Yomtoob went to college at the University of Texas at Arlington, where he was on the Dean’s list all 4 years. He then went to medical school at Texas Tech University where he completed a simultaneous MD/MBA program, while still finishing near the top of his class. Next, Dr. Yomtoob attended the Univeristy of Minnesota for his ophthalmology residency, where he was trained by innovators in the fields of cataract, glaucoma and corneal surgery. He then went on to complete a glaucoma fellowship at the University of California at Irvine, where he had the privilege of training under some of the most well known glaucoma specialists in the world. Because of his training, Dr. Yomtoob is an expert in the medical and surgical therapy of glaucoma, cataracts and vision correction. He was one of the first surgeons in Southern California to adopt the ORA with Verifeye system, which uses intraoperative aberrometry to improve cataract surgery outcomes in his patients. Dr. Yomtoob prides himself on providing each patient with compassionate care and cutting edge therapy. As a result, he performs a wide array of vision correction, cataract and glaucoma operations including cataract surgery with implantation of multifocal and toric lenses, Glaukos iSTENT®, aqueous shunts (tubes), trabeculectomy, Trabectome® and all forms of glaucoma laser procedures. Most recently, Dr. Yomtoob participated on a medical mission to Dhulikhel, Nepal where he performed and taught advanced cataract and glaucoma surgery techniques for the people of the region. Zachary Melman graduated from TCS is 2012. Since then he married my highschool sweetheart Caroline Melman on October 15, 2015. In 2016, he received his EMT Certification from TCC and is currently working for AMR. 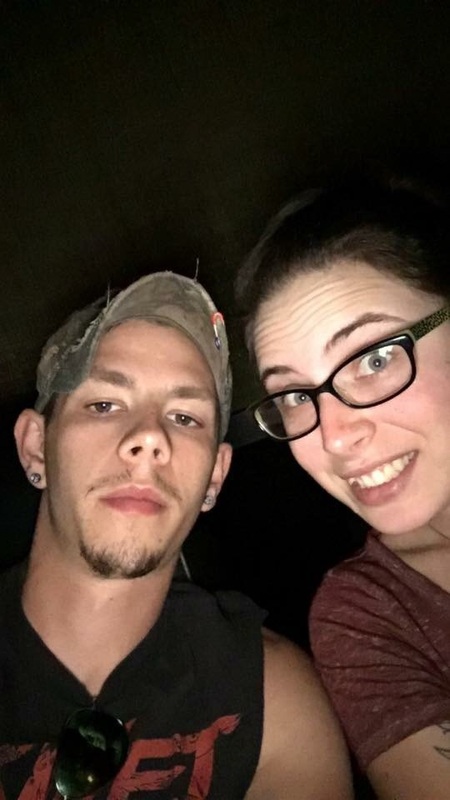 He is also trying to join on a Fire or Police Department. Mia Raven Daniels, Class of 2008 Loud and proud of her Texas roots, Mia Daniels was born and raised in Fort Worth. Growing up with her grandparents and siblings, TCS has always been home away from home. Mia is a 2008 TCS alpha and omega graduate, where she was first enrolled in August 1995. While attending TCS, Mia was a member of the National Junior Honor Society, National Honor Society, American Christian Honor Society and Who’s Who Among American High School’s, and received numerous academic awards. Throughout her 13 years at TCS, Mia was a member of the Lady Eagles soccer team through out middle school and high school and always loved getting perfect attendance and making the headmaster’s list. Although I have numerous memorable memories throughout my time at TCS, I have to highlight on a few favorites: leadership conferences in high school, class trips every year, homecoming week, all campus chapel and spiritual emphasis week (we had the BEST guest speakers), big brother/big sister mentor program - I remember being the “little” sister all through out elementary school and then getting to be the “big” sister in high school, the volunteer opportunities - serving the homeless for Thanksgiving, Operation Christmas Child every year and being able to visit the sick. I am super grateful to my grandparents for sending me to such an amazing school. The love of God is so evident and is felt on campus. I couldn't have asked for better teachers who truly love each student like their own, and 9 years later, I still keep in touch with many of them! The Christian family atmosphere and the sweetest best friends I grew up with are just a few of the sweetest and unforgettable memories I’ll always have with TCS. My heart fills with so much Eagle pride and TCS played a huge part in giving me my Eagle wings. Thank you, TCS, for helping engrave in me the importance of always keeping Christ number 1 in my life and to always give back to those in need. It’s always great to be an Eagle! Mia follows a legacy of Fort Worth Ambassador Debutantes, (she holds the rank of being 9th) and made her debut in 2012. In Mia’s spare time, she enjoys spending time with family and friends, exercising, reading, writing, traveling and participating in community service/outreach projects, and as always, looks forward to returning to her alma mater for the annual spring plays, Homecoming parade and Alumni events to cheer on the Eagles! Mia currently resides in Fort Worth and is employed with CliftonLarsonAllen in Dallas, Texas, where she enjoys processing audits and tanking advantage of all the opportunities life has to offer. 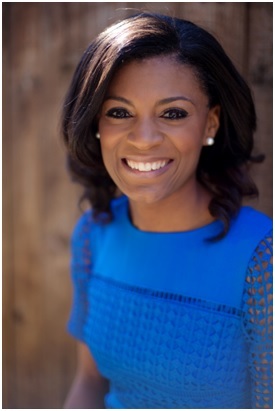 She holds a BBA in Finance from Texas Wesleyan University and a MA from Southern Methodist University. 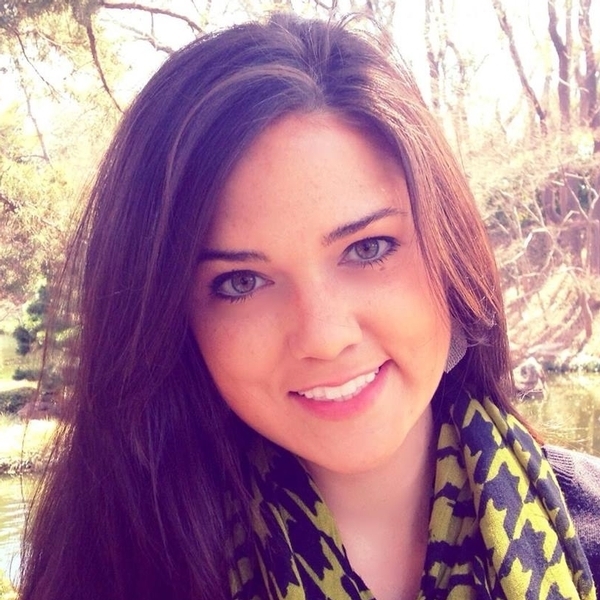 Kristen Willingham, TCS valedictorian of 2007, graduated from Texas A&M University with her B.S. in Leadership Studies. After graduation, she worked on Capitol Hill in Washington, DC for Congressman Steve Pearce (NM-02) and Congressman Michael Turner (OH-10). After returning to Texas, she received her M.S and is currently pursuing her PhD in Health Education, while teaching as a Professor in the Health & Kinesiology Department at Texas A&M University. She also has her Plant-Based Nutrition certification from Cornell University and a Therapeutic Yoga certification from Yoga Alliance. Her website is TheVeggieGirl.com. Ernest Leonard, Class of 1982. 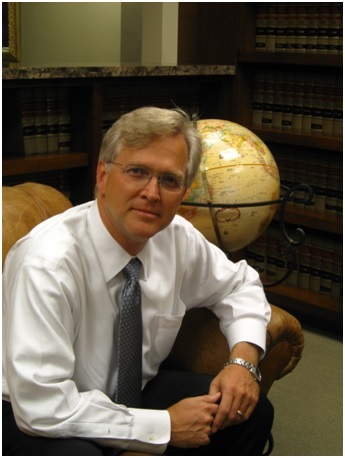 Ernest graduated from the University of Texas School of Law in 1989, and has built an active practice representing corporations in business disputes. Board Certified in civil trial law, Ernest represents companies in high stake trials in state and federal courts throughout the country. Ernest’s work also has an international flavor, with his cases taking him to such locales as India, England and Mexico. Ernest has settled in Frisco, with his wife and three teenage kids. In his spare time, Ernest coaches a high school mock trial team and mentors aspiring lawyers in the Frisco high schools. In 2016, Ernest’s Frisco high school mock trial team made it to state finals. During his years at Temple, Ernest was the class clown, and now finds that his antics are more appreciated in the courtroom than they were in the classroom. Timothy Klob attended both middle school and high school at Temple Christian and graduated in 1982. Following graduation, Mr. Klob obtained his bachelor's degree in civil engineering from the University of Texas at Arlington and worked for several years as a civil engineer with the Georgia Department of Transportation. After obtaining his license as a registered Professional Engineer, Mr. Klob obtained a law degree from Georgia State University. Mr. Klob is managing partner of Klob & Larrison Attorneys, a metro Atlanta law firm which focuses on Social Security disability, veteran's disability, personal injury and workers' compensation claims. In addition to representing wounded warriors and veterans in his civilian law practice, Mr. Klob also serves in the U.S. Army Reserve as a lieutenant colonel in the Judge Advocate General's (JAG) Corps. Tim and his wife Kecia met shortly after graduation while both working at a Christian camp supported by Temple Christian School. They have been married for 27 years and, along with their son Andrew, are actively involved in their local church and other community-based ministries including Armed Forces Mission, a nonprofit aimed at suicide prevention and intervention for service members and veterans.